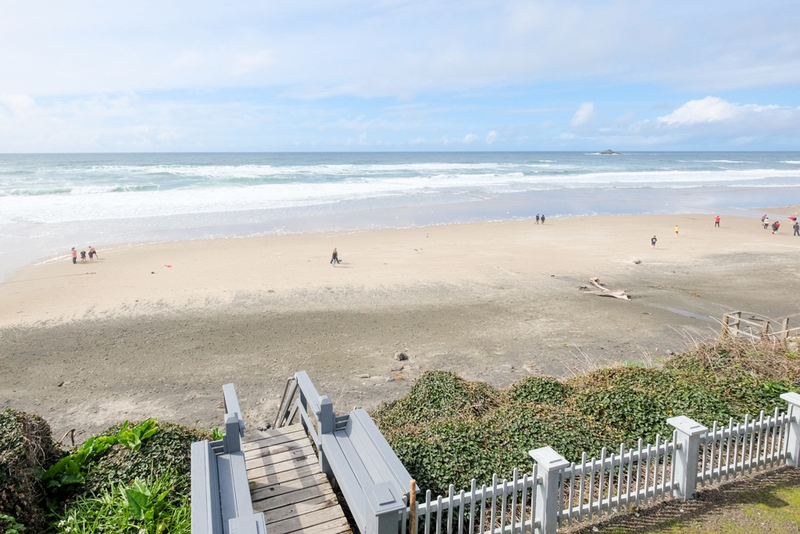 Enjoy private beach stairs down to the sand & close walk to Tide Pools! Large windows & fireplace in Living room, dining & kitchen. 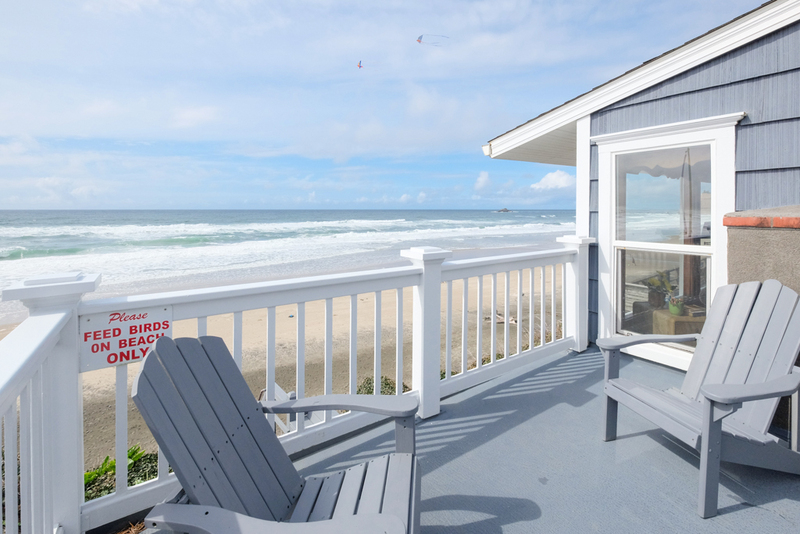 Great for Sand & Surf views, kites and whale spouts .. Additional entertainment room with 60" big screen and slider opening to private courtyard & hot tub. 3 queen bedrooms and 2 double bedrooms. 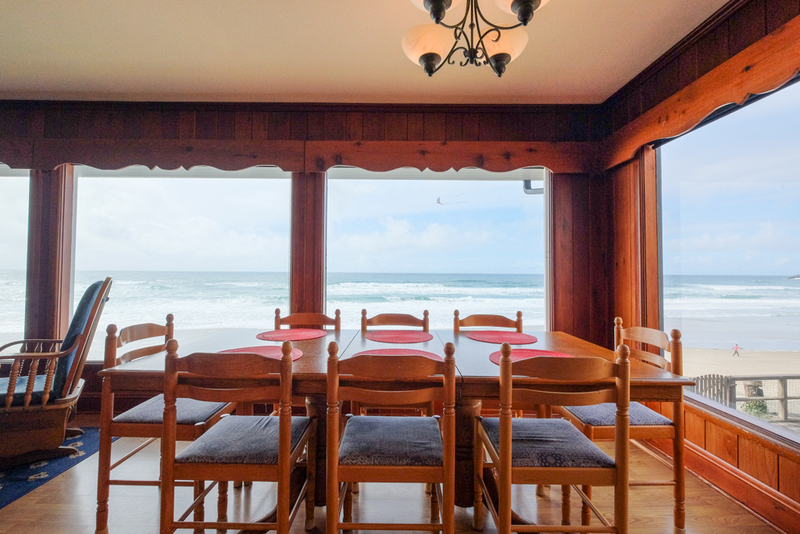 Four bedrooms have surf views. 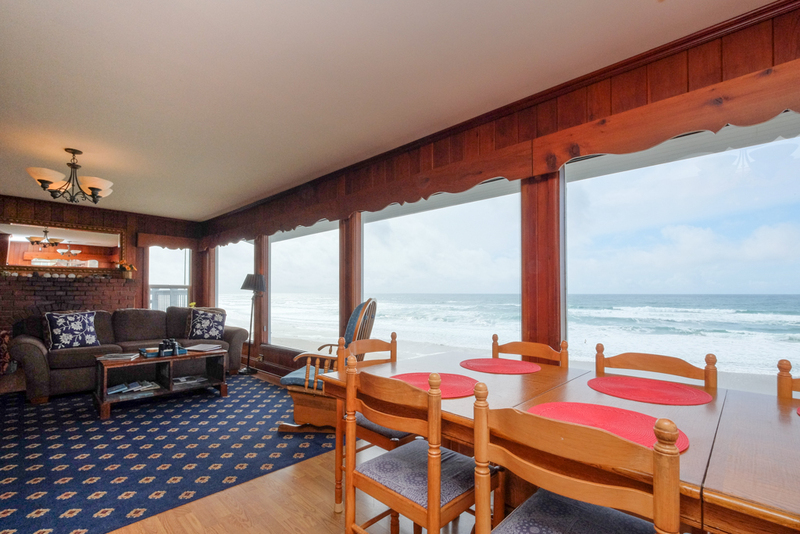 Living room (with gas fireplace) dining room & kitchen have a panoramic view of the beach and ocean surf. Kitchen is fully stocked with everything you need for creating a masterpiece for the gang. . Additional entertainment room with 60" TV is great for kids and evening movies after a day on the beach. 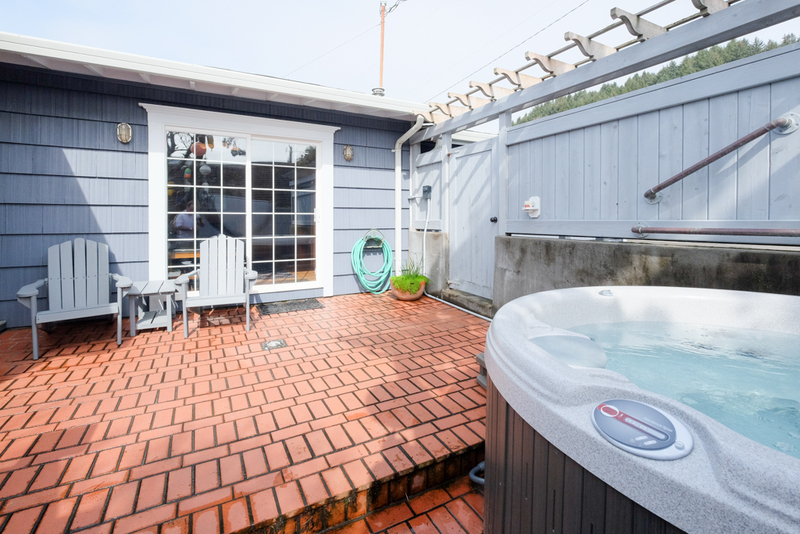 The hot tub has easy access off the entertainment room and is in a private courtyard. 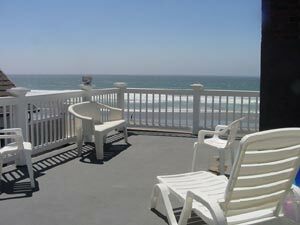 The deck overlooks the oceanfront in Roads End with plenty of wooden adirondack chairs to relax! Please avoid leaving a "Single Night Gap" May- June & Spring Break. Summer 2019 has a 5 night minimum unless filling a gap. Memorial Day & Labor Day Weekends 3 nt. Min. "It was time for our annual girls beach weekend and this year we decided to rent a house instead of a motel. This house was perfect for the six of us. We all had our own beds, and almost all had our own rooms. The rooms having ocean views (all but 1) was an unexpected surprise. Having a separate living room and family room gave us extra space to do as we wanted, whether it was watch TV, read a book or enjoy the view. 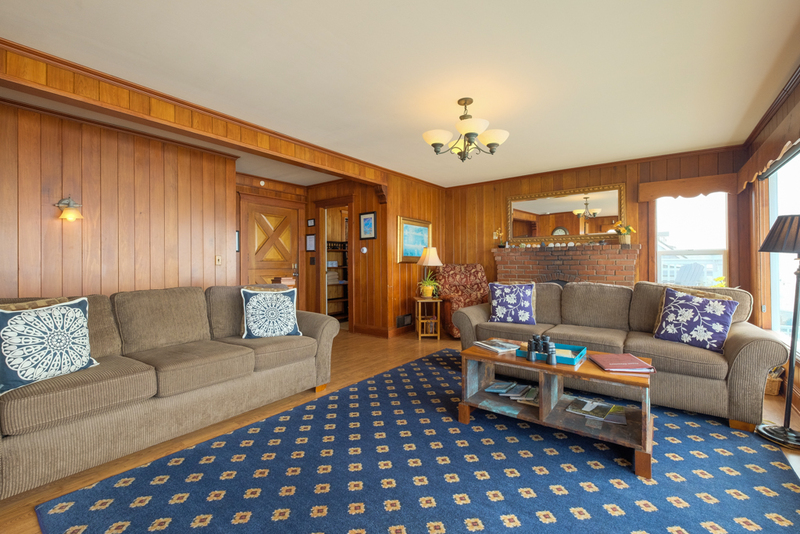 The house is spacious and comfortable, and the direct beach access was awesome. The stairs are a bit steep but if you go slow they're doable. If we hadn't had that access we may not have enjoyed the beach during this visit with the unpredictable weather. It was nice to be able to see when was a good time to run down to the beach and then quickly be back in the house when the wind or rain picked up. The hot tub was another perk. It was a relaxing way to spend the evening after a long day of shopping! We'll definitely be back!" "Six of us from Hillsboro Oregon that are part of a philanthropic sorority, along with a 7th member who lives in Lincoln City spent two nights in Roads End Beach house and are anxious to do it again. 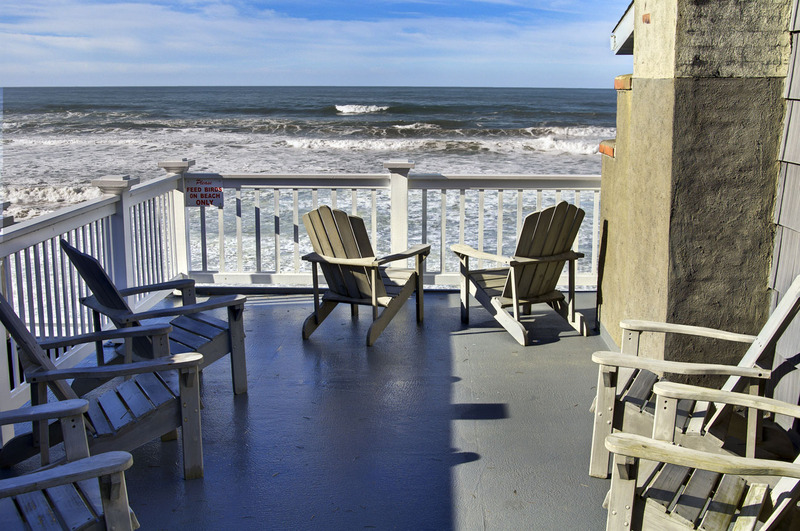 The house is so comfortable, the view is so great, access to the beach is easy and the deck and chairs made the outside living equally comfortable. We intended to use the hottub, but never got around to it. We played games, ate well, shopped at the outlet mall, went to Mossy Creek Pottery, age at Kyllos and Vivians -- had a great time." "Our Vacation Rental was clean and cozy. We had a beautiful, breathtaking panoramic view on the main floor, looking out as you walked in, from the living, dining, and kitchen area. There were nine of us and we had plenty of space. There could have been more clothing storage areas and more of the main essentials in kitchen area,but that's the small stuff. The floor plan layout was perfect and met our needs with small children. We spent most of our time looking out at, and appreciating, the ocean waves and sunsets. Easy access to the clean beach allowed us to take daily walks and enjoy time down on the sand. " "A great house in a great location! Just a stairway to the beach right off the back of the house....and on a great beach! 5 bedrooms is awesome to have as well. We would all definitely stay here again." 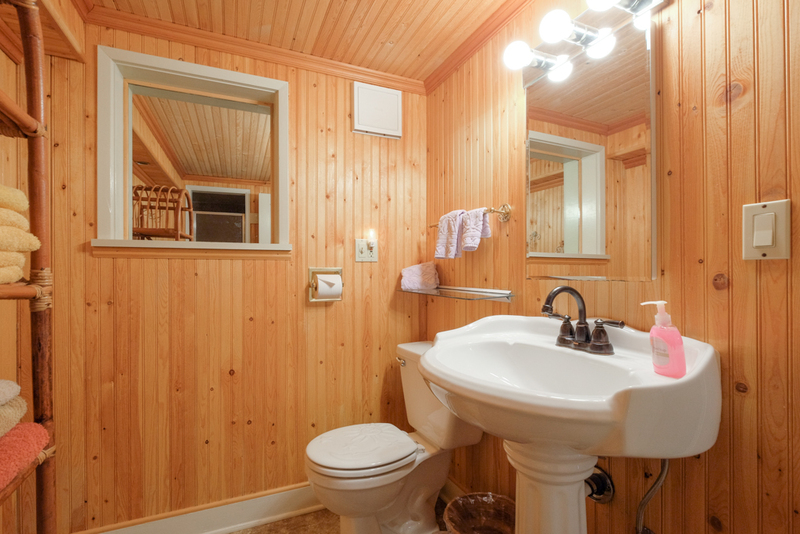 "The house is very clean, comfortable and convenient. We had everything we needed. The management company was very helpful when we had a minor issue. " "We had a FANTASTIC weekend at this home! The weather was perfect (sunshine in November!!?!) but the house was perfect, too. 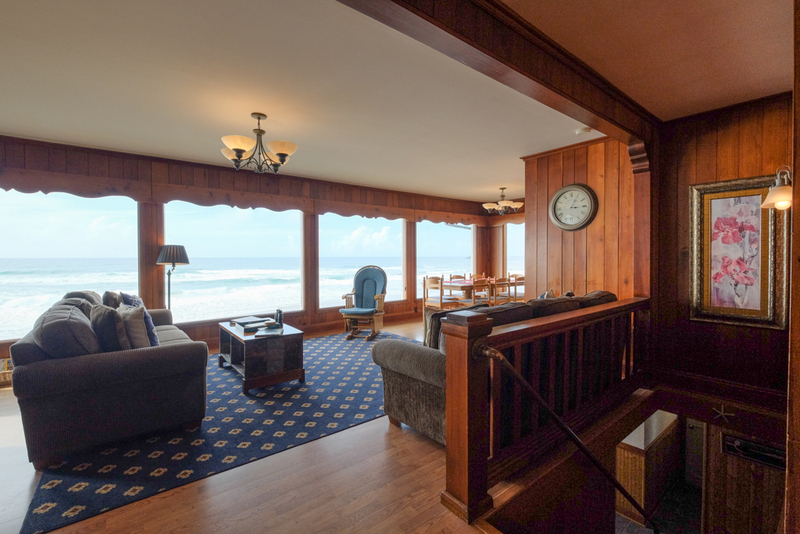 Four big picture windows looking right onto the beach (so those in the house could see the kids playing baseball) and a deck with Adirondack chairs to watch the amazing sunsets! Two big living areas gave everyone a place to relax, play games, and watch football. We were all sad to leave....but we're coming back, that's for sure!" "Beautiful beach house with stairs to the sand. Gorgeous views from the large living room windows! Just spectacular! The home was clean, quiet, and offered all the comforts of home. Loved the private courtyard and layout of the house. It was chilly at night but the gas fireplace kept us warm! We will return! And we love A-1 beach rentals! So easy to book! " "First time in this home, very clean and comfortable, enough room for everyone! Great location, we'll definitely stay here again!" The house was clean, the kitchen well-equipped, etc etc. We were a group ranging from 15-75 years of age, and everyone had a wonderful time. We will definitely stay here again. Maybe I shouldn't write such a glowing review; all of you will be competing with me for our next vacation rental." "We took a trip to the coast, to celebrate three birthdays. 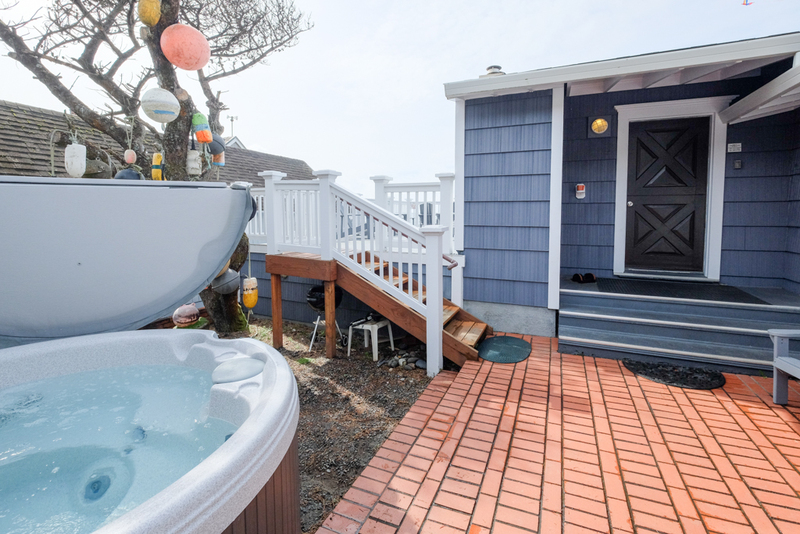 We chose this house because of its proximity to the beach, and it did not disappoint. The weather was beautiful for the entire stay, and the ocean, as always, erases weeks of stress, from everyday life. I will recommend this house, to anyone that asks about it. Thank you for sharing it with us!" "A great house for our group! The view was amazing and easy access to beach! We will be staying again!" "Renting this home was easy. Lots of phone numbers posted in case we needed anything, but we didn’t need to use a single one. " "This home was perfect for our sisters weekend! The view is perfection! The house well laid out with lots of room." 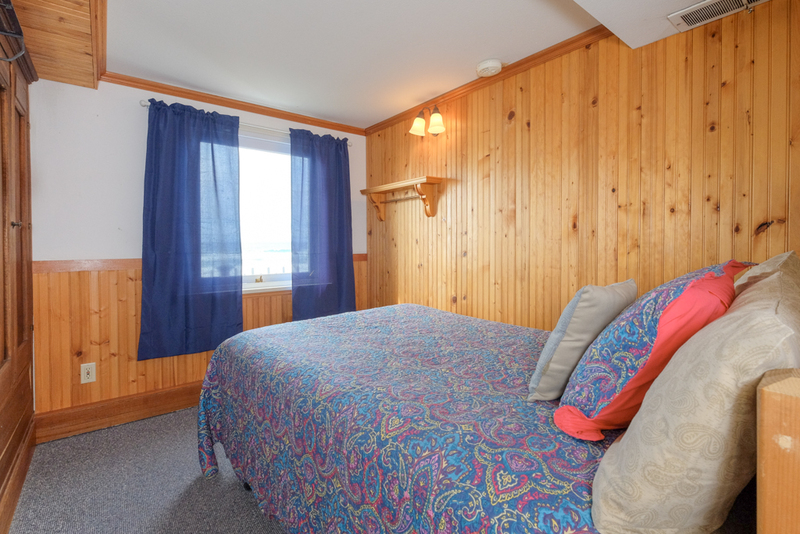 "We have stayed here at least 4 years now and it is always a wonderful place. We love the location. Great place for 6 women to kick back and enjoy. We plan on coming back next year." Manager Response: So glad you enjoyed your stay at A Roads End! Hope to see you again soon! "This is our 4th year in a row at A House at Roads End. It works great for our annual Girls Getaway. We noticed right away that there had been a few improvements (living room rug - kitchen cleanliness) when we arrived..."
Manager Response: Glad that you enjoyed A Roads End! Hope to see you again soon! "We really enjoy this home, we last stayed here 9 years ago! The view from the windows are spectacular. If you can catch a low enough tide the rocks north of the house have excellent tide pools. The beach is typically uncrowded even with a few families and kite flyers out and about. Updating the mattresses on the beds would be an opportunity for improvement. The rooms on the farthest end of the hall are particularly uncomfortable. " "This is our 4th or 5th year at Roads End. The place feels like a home with sofas and a big fireplace. The kids LOVE the large TV room. 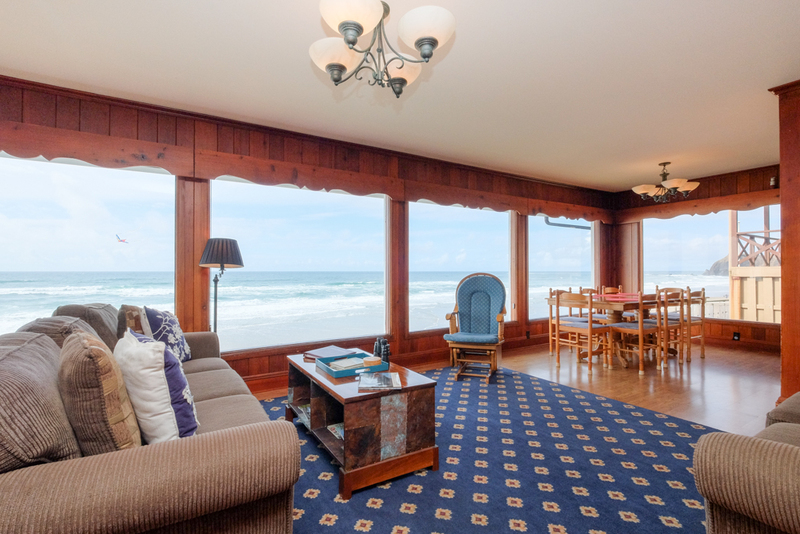 Large windows span the living and dining rooms giving an amazing view of the ocean. There is WiFi, but phone service is spotty at best at Roads end; a great opportunity to unplug. We will make it a yearly tradition." Manager Response: So glad that you enjoyed A Roads End! Come visit again soon! "We have stayed at many different homes over the years but keep coming back to this one. 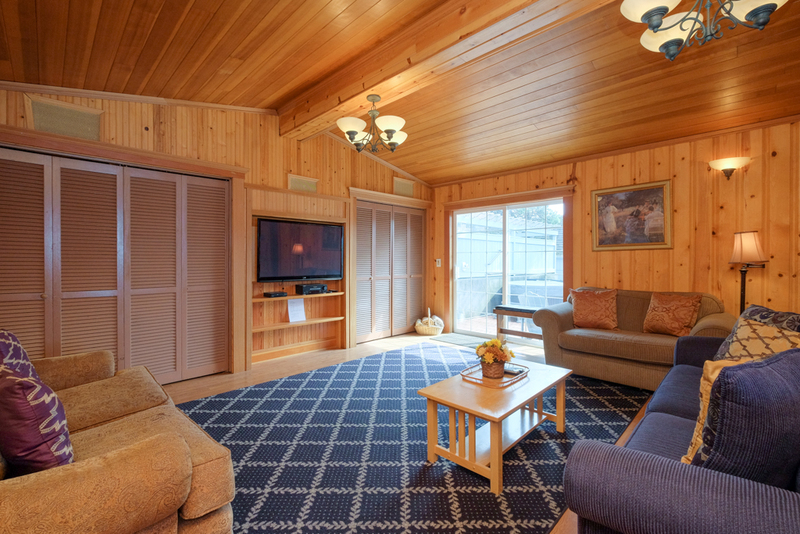 The layout gives us the BEST view; has a separate space for the TV watchers and gamers; and has plenty of bedrooms." Manager Response: Glad you had a good stay. Come again soon! "Great location. Just want our group of 6 friends needed." Manager Response: So happy you enjoyed A Roads End! Come visit again soon! Manager Response: Thanks for staying at A Roads End! Visit again soon! "This has become an annual event for our family. We fell in love with this house and location six years ago and have been back every summer since. My only suggestion would be to replace at least two windows on the west side facing the ocean with windows that open to get more ocean breeze in the house. With all the glass it gets warm in the afternoons." Manager Response: So pleased that you enjoyed your stay! Thanks for the suggestions! "This was a great rental. Absolutely no complaints"
Manager Response: Glad you had a great stay! Please visit again soon! "Absolutely wonderful home and thanks for making sure the weather was 100% perfect. Our family loved everything about this home. Where else can you find a FIVE bedroom? If anyone has a negative then they will complain about life in general. We chose this because of the homey feel. Hope we can afford to come back soon. " Manager Response: So happy that you had a great stay at A Roads End Beach House! Please come again soon! "GREAT house, location, price and service!!! Couldn’t be more pleased to stay here except needing more time, just didn’t want to leave!!! We will be booking this property again!!!" Manager Response: Happy to have you! Hope to see you again soon! "This place is amazing! The views are incredible, the house is charming, the location is perfect. Everything was clean and organized and the six of us ladies did not want to leave! " "Beautiful home. The ocean right out the back door was an amazing experience. Words can not describe this place , you have to experience it yourself. " Manager Response: So glad that you enjoyed your stay at a Roads End! Please come back again soon! "The perfect place to reunite with some amazing friends! Spacious, beautiful, perfect!" Manager Response: So glad you enjoyed your time at a Roads End Beach House! Come again soon! "This is the 2nd time weve stayed here for my birthday. We love this house and the location. 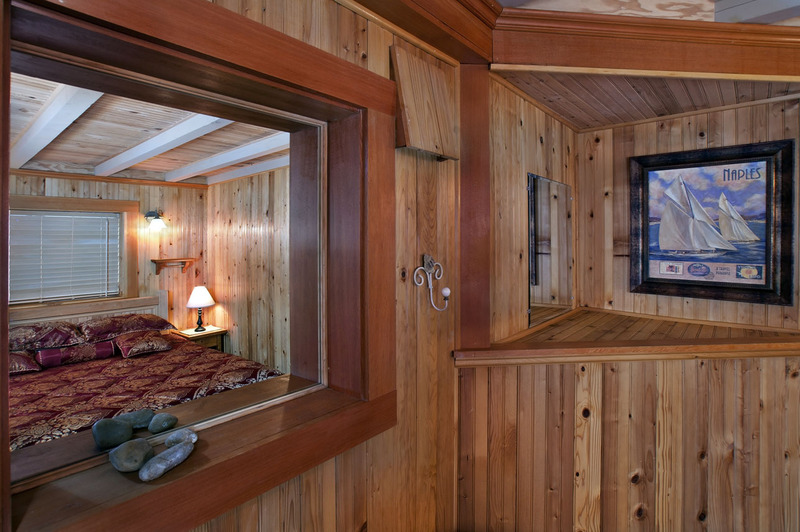 The beds are comfy and all the windows provide for an amazing view. I hope to spend many birthdays here." Manager Response: Happy that you had a good stay at Roads End Beach House! Visit again soon! "As usual, after entering the house after dialing in from memory, the gate code, we feel like we are "home ". We first rented it from the original owner, John Coke & have looked forward to coming here ever since. We also look forward to seeing Gene or Karen, or both very much. The improvements that Gene has made really wonderful. Thank you for making them. See U 3 October 2017. " Manager Response: Thanks so much for years of business! We hope to see you again next year! "We had a front row seat to a storm like we had not experienced before. Beautiful windows, cozy fire. This is the second year we've stayed and plan to have more years to come. " "Our small group of women classmates from many years ago have been coming to this house for the past 3 years. 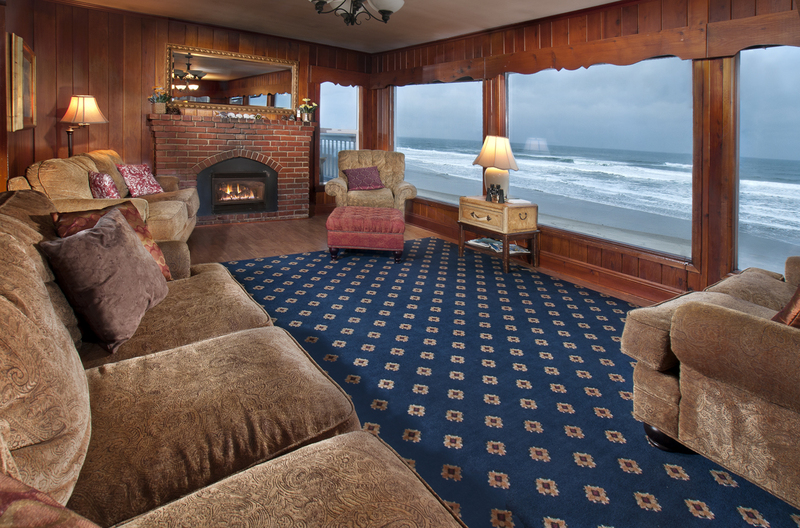 We truly enjoy the location and the large windows to gaze at the surf." "We really liked this house, good parking, great quiet location in Roads End. Well maintained, plenty of room to spread out. Love all the ocean facing windows. Plenty of nice bedding and towels. Fireplace works well, we had heavy rain our entire time, so it was nice to use the fireplace. Definitely will choose this house again." Manager Response: Really glad you enjoyed your stay! Please come again soon! "We come to one of your rentals every year. We always enjoy our stay. The dryer was broken and repair man came while we were still there. However, the staff said we could stay until 1pm for check out. That was very nice. Thanks"
"6 Friends had an absolute wonderful time. The house fits all our needs. Even with the rain we had a great time. In fact we have already booked for next year. " Manager Response: So glad you enjoyed the beach! Please visit again soon! "We really enjoyed staying in this house. It was very cozy. We all loved the view." "Our time at the beach allowed 3 generations of the women in our family to come from 3 states to enjoy times of laughter, telling old stories and enjoying a relaxing time away. We are already thinking ahead to other ways to come and enjoy another stay." "The home was very nice, great location! the only negative I would comment on is the bedrooms, we were under the understanding their was two "master" suites with fireplaces, but it all worked out. Half of the beds were comfortable and half were very hard we decided it was luck of the draw in what bed you got.But the property was nice and well kept. I do agree the showers are pretty dark, my youngest didn't appreciate that but honestly this is a nice comfortable house." "Great location. Enjoyed the beach and tide pools. Problems with downstairs shower not draining during our stay. " "It was great ! Will want to come back for sure! House was beautiful and plenty of room for all of us ( 10 adults ). Loved Loved Loved the views!!" Manager Response: So glad you enjoyed your stay at A Roads End Beach House! Please come again! 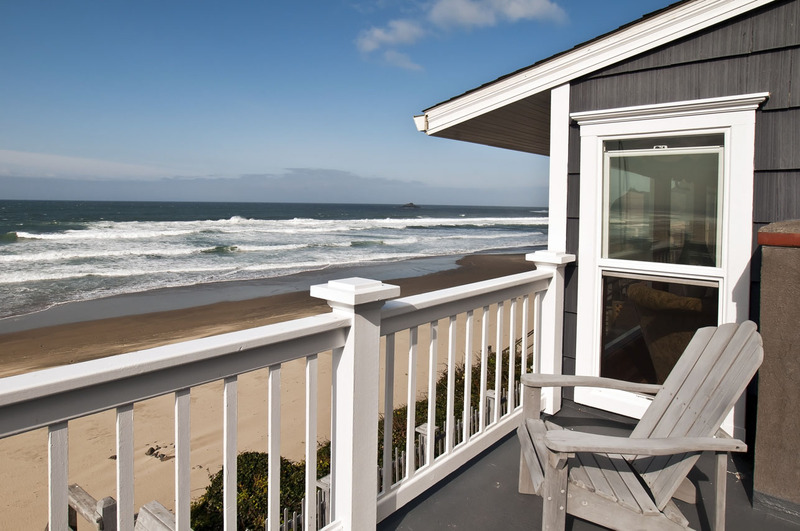 "We had another successful trip to the coast partially due to A Roads End Beach House and VRBO! We have been using this company for our annual trip for several years and we have always enjoyed our stays! 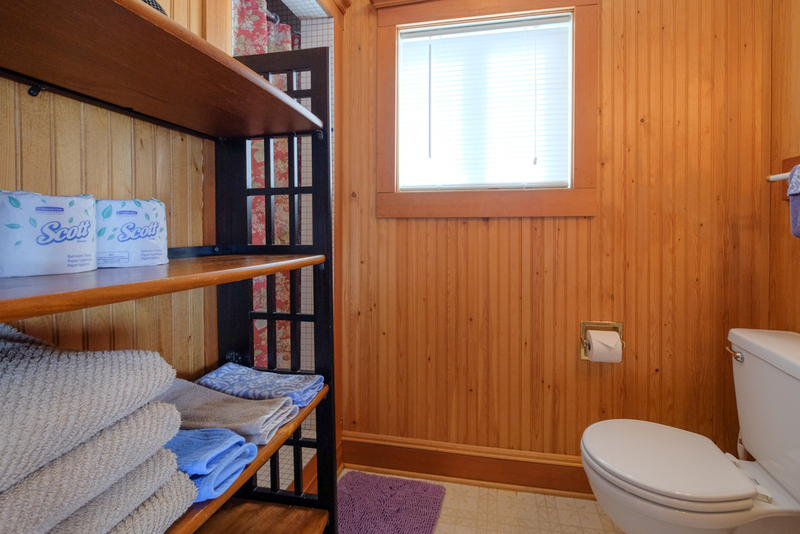 This home was clean and well appointed and fit our group of 7 gal perfectly! There was a pretty crazy storm while we were there...even lost our electricity for a bit! Had a bit of a leak develop in one bedroom and called the manager to report it and they handled it just fine. " Manager Response: So glad we were able to help you in a timely manner! Please visit again soon! "As always our stay was wonderful. Our house was clean and very comfortable. Everything was perfect. We can't wait for our next trip "
Manager Response: Glad you enjoyed your stay at a Roads End Beach House! Please visit again soon! "Great rental for a fun girls weekend. Everything you could want at your fingertips. We will be back!" "It a was a great time! The house was perfect for a family! We will be back again someday! " Manager Response: Really pleased that you enjoyed your time at A Roads End Beach House! Please visit again soon! "The house was wonderful, but all of the stairs were a problem for a couple of ladies in our group. But we loved the home and had a very good time." "Beautiful house with great views on the ocean! A not so busy beach right in front the house, and easy accsessible through stairs. Only the septic system needs improvement. The rooms were cozy and clean. We found everything we needed in the kitchen. We loved to stay there!" "8 ladies enjoyed this house very much. Lots of space, character, good location and beautiful view. This home is well priced and we would definitely return." Manager Response: Glad you enjoyed your time at the beach! Please visit again soon! "Small family gathering of our immediate family to celebrate our dad's 80th birthday and parents 60th anniversary." Manager Response: Thanks for visiting A Roads End Beach House! Please come again soon! "we really liked that there was a TV room and a visiting room"
"The location of this house was perfect for our family and young children. 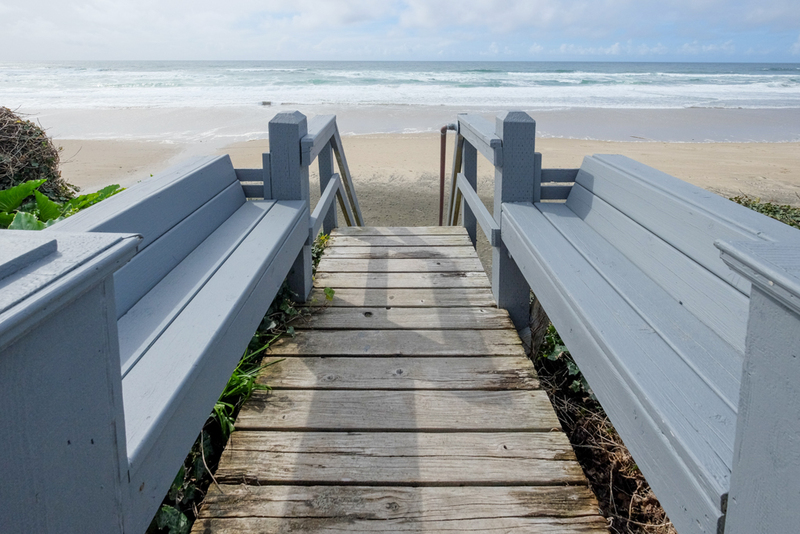 The Private stairs provided easy access to the beach. The tide pools were close by and were absolutely phenomenal at low tide. Our children and adults had so much fun there. This house is older but had charm. It is one of the cleanest houses we've rented on the beach. The ocean views were amazing. The kitchen was well stocked and all appliances worked well. There were 2 living rooms which was great for the kids. The bedrooms and bathrooms are on the small side, but this was not an issue for us, since we were on the beach a lot. The A1 management team communicated very well making sure everything went well. We will definitely try and take another vacation in this charming home." Manager Response: Really glad you enjoyed A Roads End Beach House and the tide pools! Please visit again soon! "YOU MUST DOWNLOAD AN APP TO GET THE DETAILS OF THIS ESTABLISHMENT AFTER YOU BOOK. The app is totally legit, but this was not made clear on the house's site. We had to call the management company who were extremely helpful in getting us the address and passcode. All of this said, we had an absolutely terrific visit. Just lovely. The house is graciously large with plenty of space to stretch out in large groups. The rooms were nicely appointed, though do not expect anywhere to put your belongings in your room as only two have any drawers to speak of and those are only minimally sized for longer stays. Beautiful beach, great windows for our turkey dinner, and the hot tub was used several times. It was nice to have privacy in the tub. The television is not user friendly. In fact, all of the wires to the speakers had been rearranged, so it took us awhile to get them set back up again to watch a movie. But the whole place was just awesome. We could not have been happier. The only true "negative" thing was that there is almost no heat downstairs. Whatever heat goes down there come directly back up the stairwell. The sleeping quarters get quite chilly because of this. Beyond that, a great stay. Thanks, A Roads End Beach House! We loved our stay." "We had an amazing time at the beach and at your Beach House. The weather was amazing. We did not find even a glass blown heart at the beach which bummed us all but we had fun looking. The house was perfect and met our needs. We do seem to congregate in the kitchen which was very small but we managed. One item that we would recommend be repaired or replaced would be the shelves in the dishwasher as most of the plate holders are broken off and there is some rust showing through. Other than that, we were very satisfied and would come back again. Thank you so much for your hospitality!" "Perfect vacation home for the 9 of us! Plenty of room, everything was very clean and the location on the beach was perfect. And the whales! So much fun! My only complaint would be the upstairs bathroom could really use a fan, and the shower drain probably needed to be cleaned. A shout out to Karen for having the washing machine replaced immediately as it wasn't working when we arrived. We would love to stay here again! " "This house was very clean. There are no closets in bedrooms so be prepared to hang clothes on pegs on wall. A couple of blinds were missing a slat but it wasnt in area that anyone could see in. Lots of kitchenware. Steps to beach were steep but walkable. Overall a nice place to stay with a beautiful view." Manager Response: So glad that you enjoyed your stay! Please visit again soon! 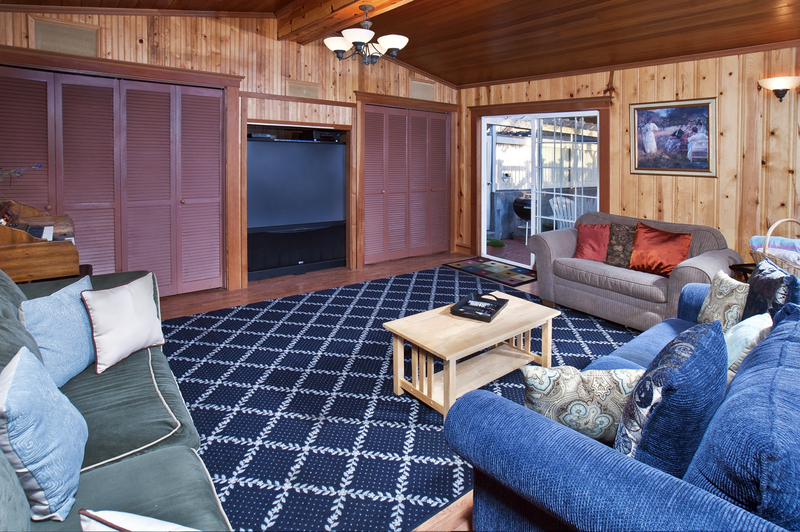 "The location and layout of this home were perfect for our annual guys trip. 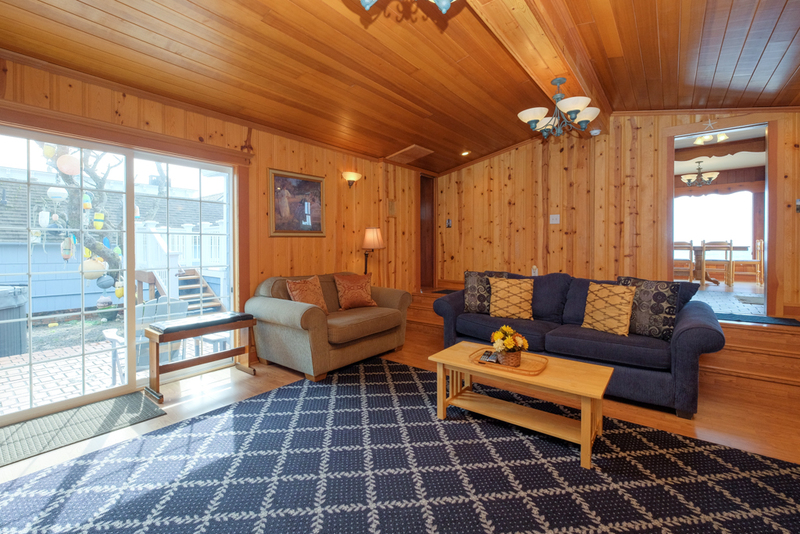 The top floor has a large TV/game room separate from the living/dining area if someone wants quiet time for reading or gazing at the ocean next to the warm gas fireplace. All five bedrooms are downstairs which ensures quiet time if others are up. 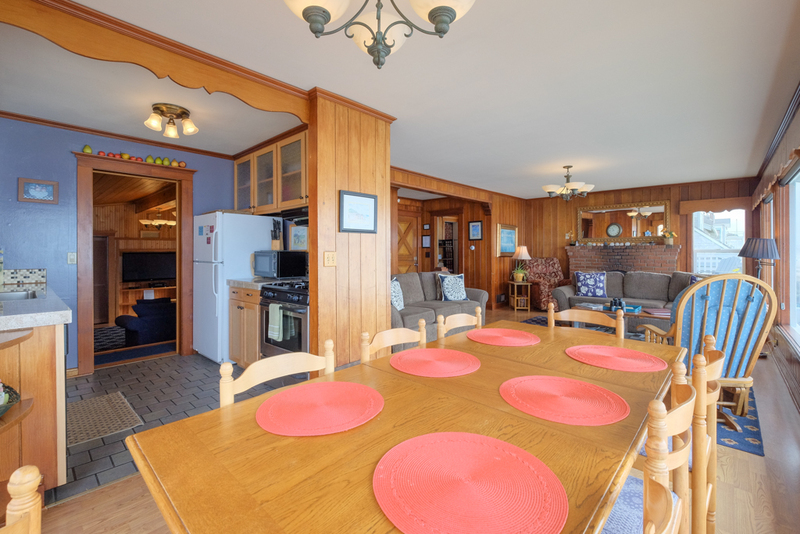 The well-stocked kitchen and large dining table provided lots of group meals and the hot tub was plenty big for all of us to relax under the stars. The location is a very short drive to restaurants and other activities, but away from noise and traffic. This house was a terrific value!" Manager Response: So pleased that you enjoyed your stay at A Roads End. Hope to see you again soon! "This was an excellent location with beautiful views. Everything was clean and ready to go, and we enjoyed walking to the rocks & exploring the beach. The deck was a fabulous place to sit and enjoy the beach, although it would be better with a glass railing. The gas fireplaces were nice & we enjoyed the hot tub. The only concerns we had were the top floor shower was too dark & pretty unusable because of it, and the lighting in the bottom floor shower was still suboptimal. Also 2 of the jet sets for 2 seats in the hot tub weren't working. The great location makes up for most of those, but it would have been nice to have decent lighting in the showers. " "Our family had a wonderful time in this home. The views of the ocean are exceptional. 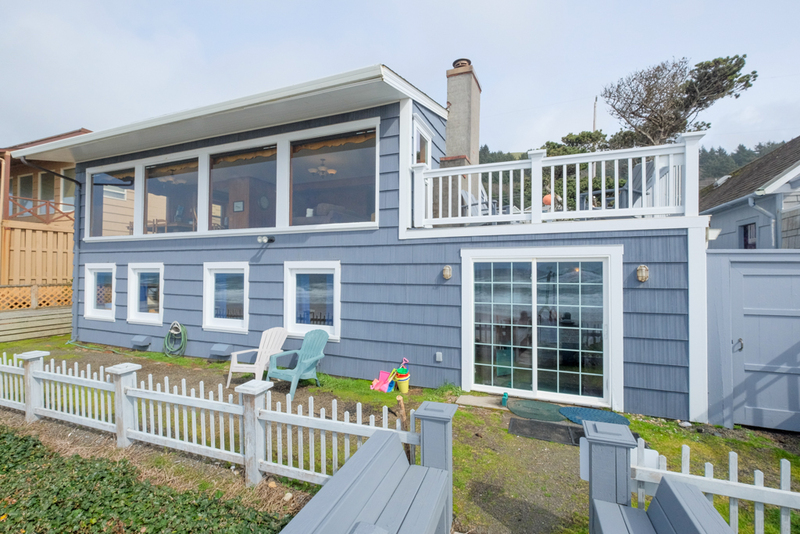 The house is clean and charming with tons of natural light from the great view windows.the home appears to be well maintained for an older home getting punished from the coastal weather. we will rent this home again will suggest it to our friends and family. this home meet all our expectations of what we hoped this home would be when we rented it. Big thanks to the owner and A1 rentals." Manager Response: Really please that you enjoyed A Roads End Beach House! Hope to see you again soon!
" This house has the most amazing views of the beach and ocean. The unobstructed views and comfortable furniture are things hard to find in a rental. The negatives are: The heating system is antiquated and the dishwasher needs to be replaced. There are multiple dividers missing in the dishwasher and most of the remaining ones are rusted and leaving marks on the dishes. The silverware is not adequate for more than a couple of people. Otherwise, the kitchen is very cute and the range is a beautiful gas appliance. The furniture is dated but clean. We had trouble with the door on the downstairs fireplace but the maintenance man repaired it. We did not use the hot tub or deck but would be fun in the summertime. All of the bedrooms are downstairs, so if you don't like stairs, this may not be the house for you. "We had a wonderful stay, enjoying the awesome experience of living right on the beach watching and listening to the ocean. Nothing like waking up in the morning and drinking coffee while starring out the windows at the beach. The only thing that was a let down was the fireplace in the bedroom did not work"
"Our stay was perfect! The beach house was fantastic, lovely view/location, fit the 10 people that stayed there. A-1 was a wonderful company to rent from, and would do it again in a heart beat! We recommend downloading their app as they suggest, as it supplies all the info about the rental (wifi password, check in/check out, emergency contact info, etc), along with info about the town, what to do for fun (even on a rainy day), weather reports, etc. Loved this vacation and can't wait to rent from them again!" 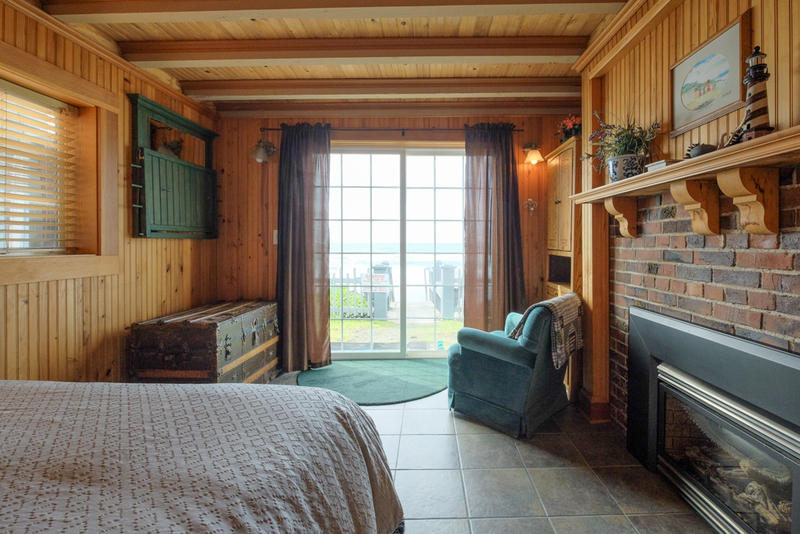 "My family loved staying at this rental The view was incredible and the beach was steps away. " "Overall very positive. Love the location and ocean view. I did leave a list of what I considered needed repair/maintenance items and suggestions on the table when I checked out. We plan to return. " 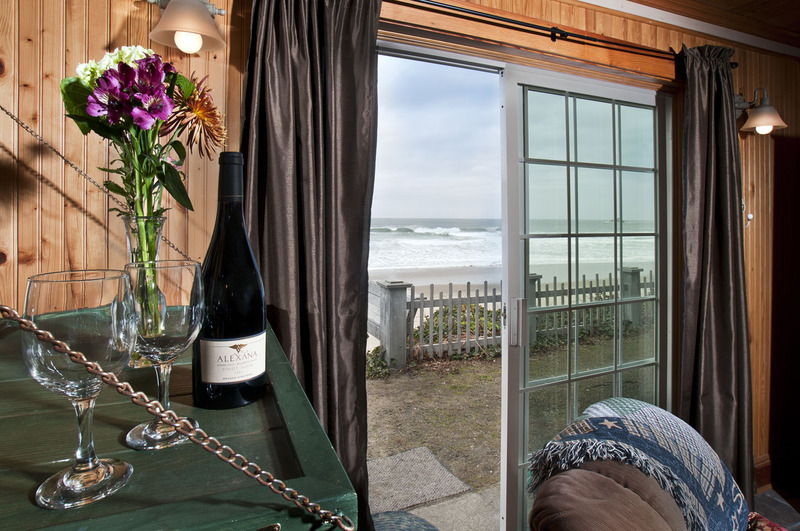 "We enjoyed the experience as we had a great view with the large windows facing the ocean. Of course all of our experiences were not perfect, the tv had a large amount of foreign stations and it was hard to find ones that we were use to. The stairs from bedrooms to the upper level were hard for older seniors to use. the furnace made a lot of noise with out a door to shut. bedrooms were comfortable, slept good, the stairs to beach was not even tried as they were way too steep, again for seniors, we had to drive a very short distance to access the beach. overall we liked the unit. Weather was great while we were there!" 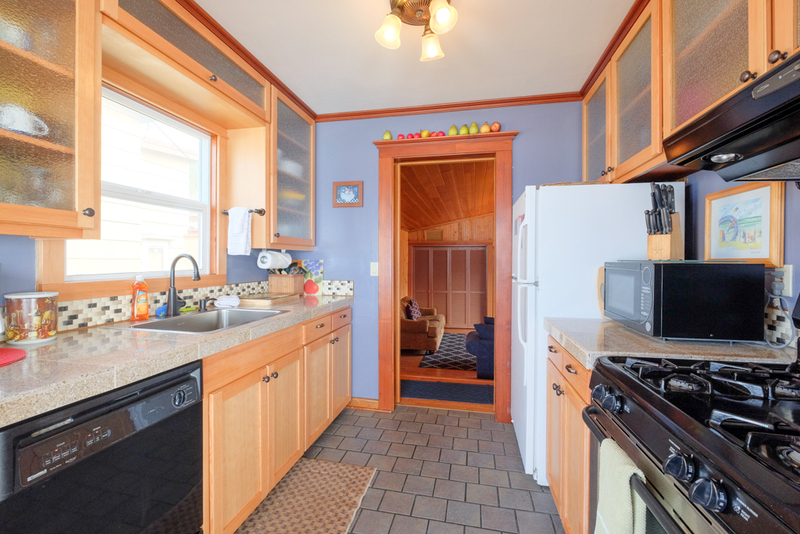 "This is the 3rd house we have rented in Lincoln City. We did our best to find a house that had lots of windows for viewing the ocean, and --- windows that opened to let in the fresh air when the sun was out. This place was great.. lots of fresh air, and the bedrooms are downstairs where it was cooler for sleeping. This is the best place so far.. went for lots of walks, found agates, and saw a bald eagle land on the beach in front of the house. " "Perfect place for a family gathering. We had family members from both Tigard and Eugene in Oregon as well as Texas and Los Angeles. The house was clean and well maintained and slept 10 comfortably. If I had to list one negative, the charcoal grill on the patio is in need of an upgrade. " "Loved every minute. Microwave was not working,very minor." "The house was very cozy. Super comfy furnishings. Nice gas fireplaces for chilly mornings. Loved the deck and hot tub. The view was amazing! There were 10 people in our party and we had plenty of room with the two living rooms. Overall a great house. " "Other than not being able to get in when expected ... I appreciate them thoroughly cleaning ! Absolutely magical time with my family. Breath taking views, great space for everyone. Stairs were way to steep for my elderly parents, but the rest of us managed. I definitely would LOVE to go back!" 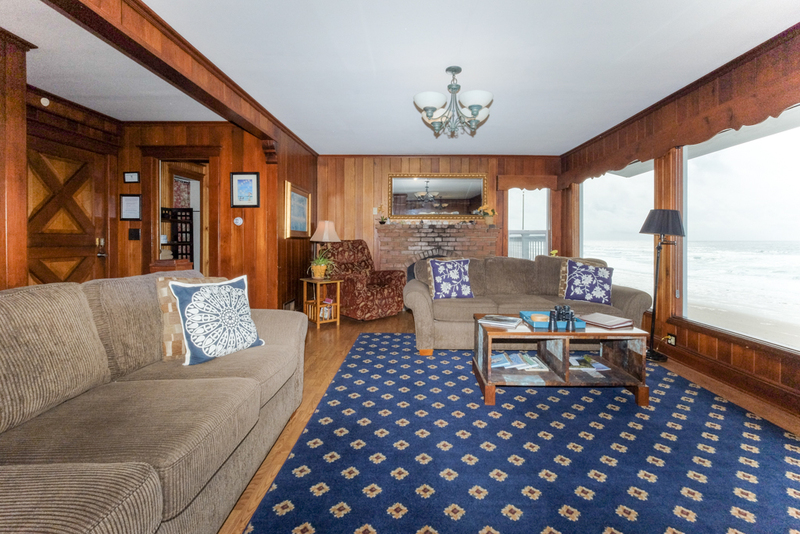 "Having a great view and beach access is the strength of this rental. The five bedrooms were on ground level and more than adequate for our group of 8 ( would easily sleep 10 ). We spent the majority of our time upstairs looking out the huge windows, playing games and eating! The gas fireplace was nice.Kitchen a bit small but we managed. The large family room(away from ocean view)we nicknamed the "theater"because of the large TV, couches, and access to hot-tub. Two ways to access beach- a side door at end of ground floor hallway and a bedroom sliding door.We called the property management on Christmas Eve morning because when we arrived, there was dried bird poop all over the center window of our great view and being so high off the ground we couldn't figure out a way to clean it...the man was flustered with no one available to help us.He told us how to access the rental's storage shed to see if we could find a long-handled tool...instead we found a ladder in garage, climbed it and scrubbed away! Recommendations to the cleaning staff: organize and clean the storage areas for the linens downstairs, laundry area, board game closet (in disarray-we quickly closed the door-thankfully we had brought our own games and puzzles. )-the slats in the doors need wiping down as did the top of the refrigerator. In general,because the rental is a bit older a deep cleaning was needed. We downloaded and used the APP for A-1 Rentals-a great idea. " 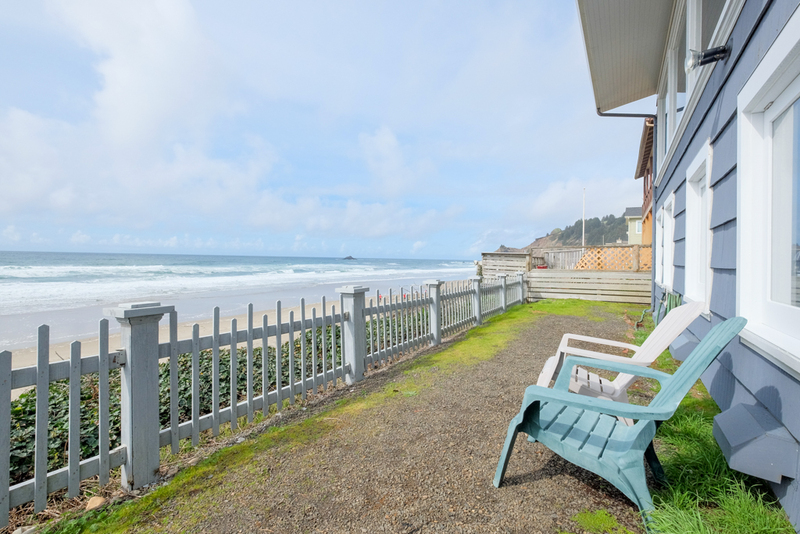 "We loved the location of this house, right on the beach!! The house was clean and nice we enjoyed our stay very much. It would have been helpful if there was a more comprehensive list of things included at the house. For others that are wondering there are four folding chairs, two folding tables, and a high chair that are not pictured on the website. Also, if you plan on doing a lot of cooking the knives are very dull so you might consider bringing one of your own. " "The 5 of us had an absolute wonderful time and will be coming back again. " Manager Response: Thanks a lot! Please come again! "The location and views are second to none. What a setting. This was our second visit to this location. We had just as much fun this time. We did have some trouble with the TV, and Andrew had it fixed within an hour. Great response. The only other problem was some mold in the downstairs shower. " "This is the fourth time we have rented The Roads End House. We all love this property. 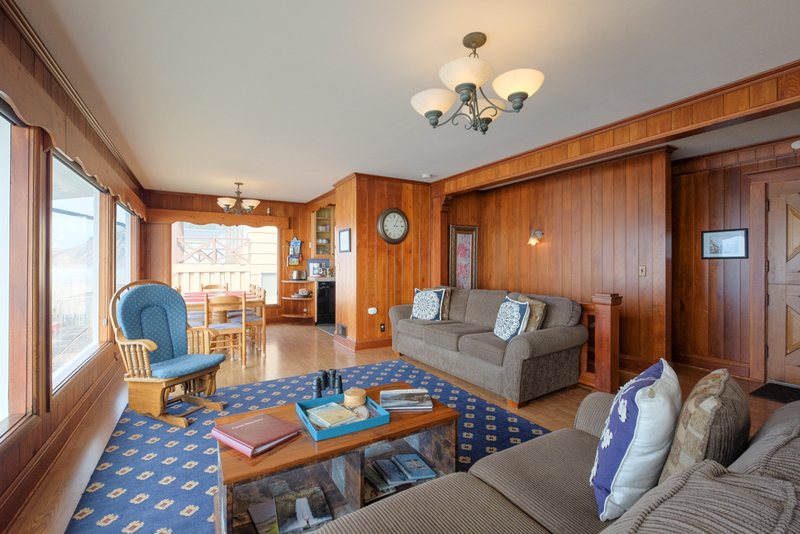 The location, layout of the home, beach access, side deck and all of those great windows to drift away with the ocean. We will defiantly be coming back. One suggestion a new coffee pot would be nice and also a ceiling fan in liviing room would be helpful on those hot days. 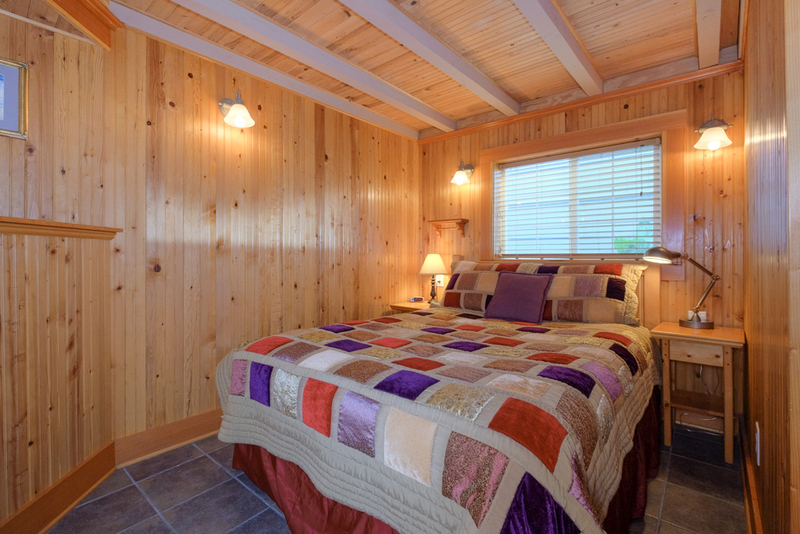 "Our family has stayed here numerous times and this house has been perfect for us. 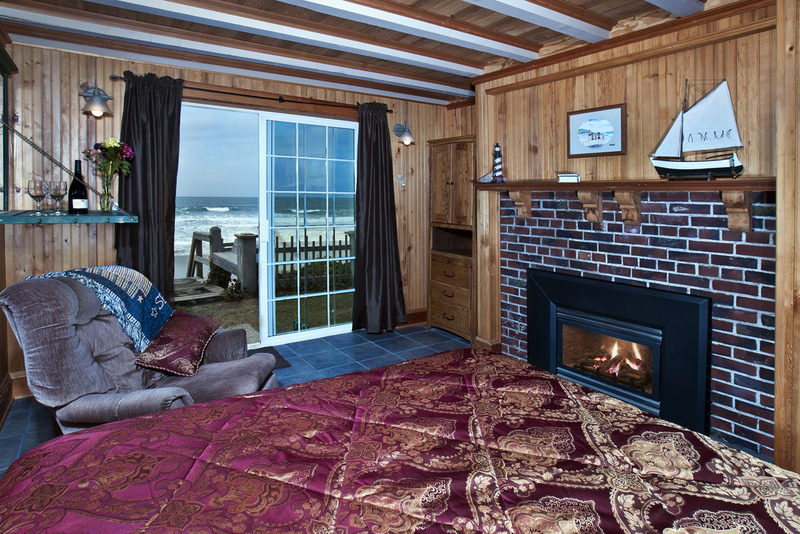 In our opinion, Roads End is the best spot in Lincoln City to stay. This home is always clean and well taken care of. If you should need help with something in the home, help is just a phone call and taken care of. Beach access is wonderful! Can't go wrong here! Manager Response: Thanks for returning to visit! Glad you enjoyed your stay! "Beautiful location. Our experience was a bit spoiled by 6 days of rain out of 7, but it's luck of the draw on the Oregon coast and we realize it. Our 2nd stay at Roads End. Ocean view is outstanding and there were very high tides which were exciting. Would be helpful to let visitors know that the 5 bedrooms contain no closets or place to put luggage. The spa is beautiful. The home is roomy and quite well kept and charming for it's vintage age. "As always we had a wonderful stay. This house is now one of our favorites Well kept and nicely stocked. Easy access to the beach." "Our beach house was in Taft so it was great to get to the other end of town! We loved the house and the view was the best I've seen." "We had a great time & had everything we needed at this house!" "This was our second time staying at this house; it's one of our favorites. It was very clean and had all the comforts of home. When the piolet light went out due to a wind storm, maintenance promptly responded, twice! 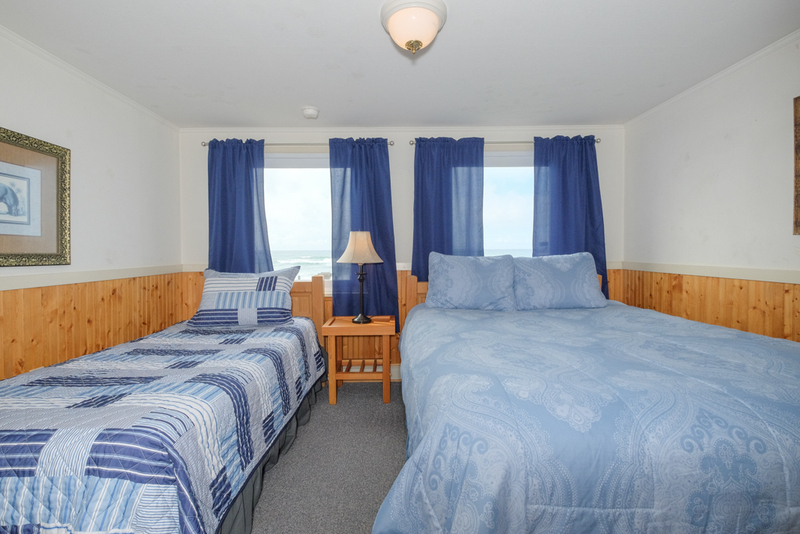 The beds are comfortable and the bedrooms have fresh air vents that allow you to hear the ocean without having to open a window. Our group of five was very satisfied with our stay. The only concern we had was the drawer below the oven got very hot when the oven was in use. 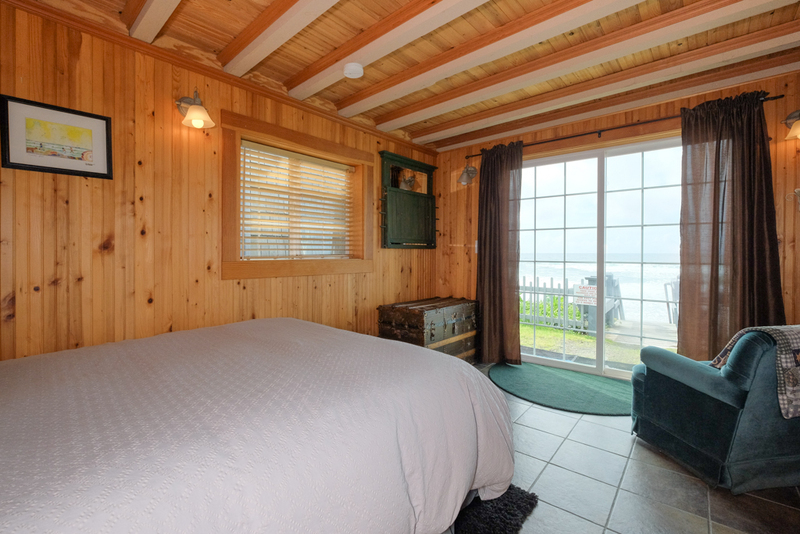 Overall we rate the Road End Beach House a 5, we were all very satisfied with the house and our stay!" "Had a wonderful time at this lovely home. 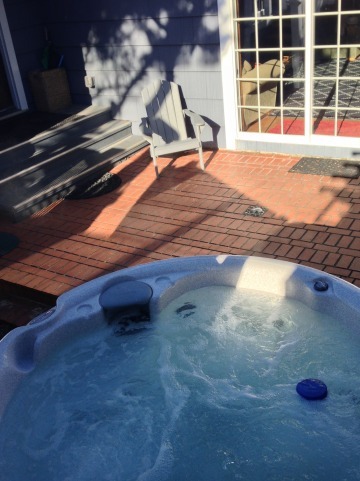 We enjoyed the hot tub and the beautiful views." "Beautiful view, great house, close to everything. Only suggestion would be to out in garbage disposal other than that it was great!" 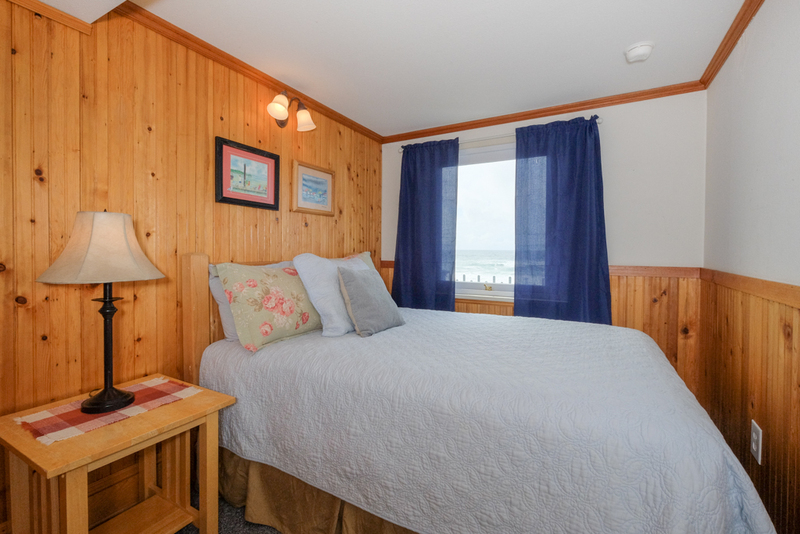 "Excellent home -- clean & neat -- window's all across the Beach side of home. Would stay here again and again, also would recommend it. The only possible issue would be the "steep steps " down to the Beach for some older people but there is good handrails all the way down. " "It was fun to watch the waves out the big windows up stairs, like all the windows down stairs in the bedrooms. A great place to relax when live gets to busy at home. Every thing you need in the kitchen to make your own food. Not so good of lighting if you want to do sewing projects or scrapbooking after dark, but great for doing those during the day with all the big windows." "The view of the ocean from the living area is absolutely world-class. We saw many whale spouts from the deck. Totally loved the hot tub -- in the cold rain it was like pie a la mode! The sports fans among us could retreat to the den area to watch the Ducks lose to the Sooners, and we could close the room off so we didn't have to list to them wailing. Great multi-fam house." "Nice house with great views. Loved sitting on the couch and watching the ocean. " "We had a fabulous time at A Roads End Beach House. The rooms were comfortable, the kitchen was well stocked and the view was amazing! The only problem is poor wifi. But even is nice to unplug on vacation." Manager Response: Thanks for staying! Please stay again soon!